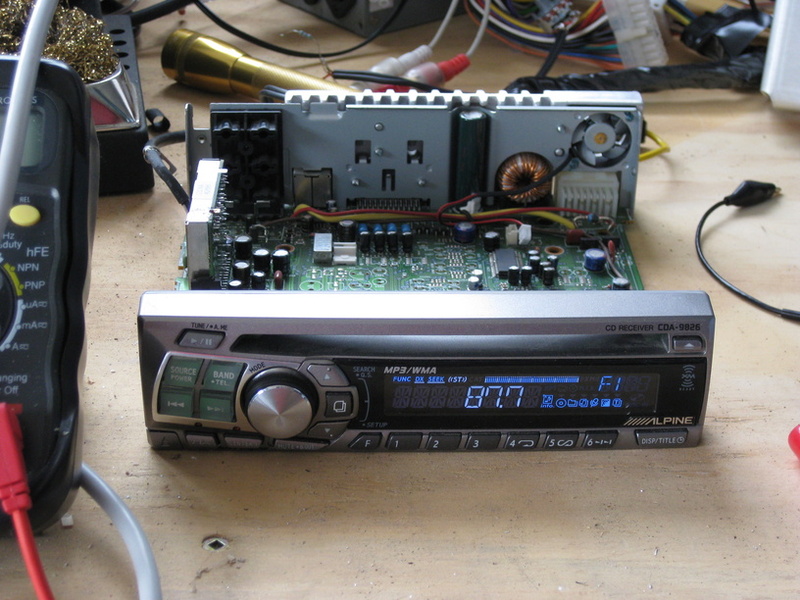 My brother-in-law has an Alpine CDA-9826 head unit that suddenly died. Apparently the sound went crackly and slowly faded out to nothing. Other than no sound the unit appeared to work perfectly. Seeing I sold it to him about a year ago I felt inclined to get it working again! It’s a very nice little stereo.